Some businesses have shoeboxes. Others having filing cabinets. And some may have large cavernous rooms in the basement of their buildings or offsite storage sheds where documents go to die. Every business has a different way of managing their paperwork and information. But what is the one thing they have in common? It’s usually costly and inefficient. For all of our online innovations, 99% of businesses still report that paper processes are integral to their business. They just want a better way of managing it. Scanners could be the answer, providing the digital on-ramp for businesses to transform their hard-copy documents into an efficient document management solution. Forget manila folders and archive boxes. Scanners can efficiently convert paper into digital documents. They also help you to manage them along with all other electronic documents in one convenient and easy-to-use filing system. Scanning software such as PaperPort allows you to visually organise, retrieve and use your scanner documents, including Word files, spreadsheets, PDF files and even digital photos. 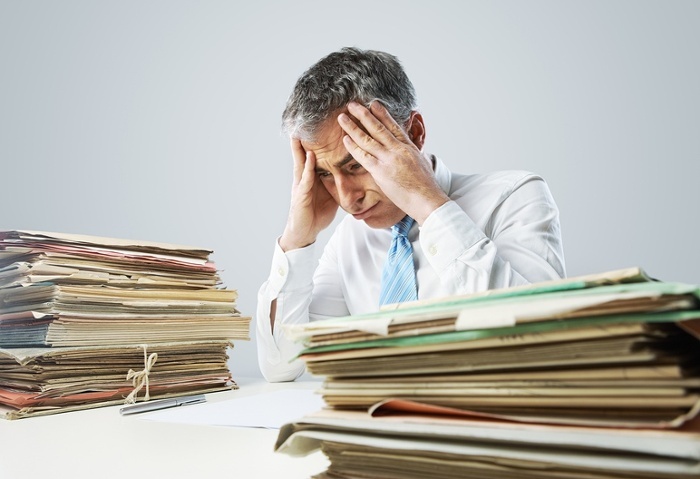 Overall, document challenges account for 21.3% productivity loss. Multiply that by each employee across your entire business and you’re facing a significant financial drain. An effective scanning solution gives you the ability to send your scanned documents to nearly any destination of your choice all at the touch of a button. The files can be automatically delivered to a specific folder, email, Microsoft Office Application, a local or network printer, a custom application or your cloud storage. Help your employees do their jobs better and take your business to the next level. Professionals spend 50% of their time searching for information and take an average of 18 minutes to locate each document. Imagine how much time could be saved if you had important documents, at the tip of your fingers, when you needed them? Invoices, bills, receipts, picking slips, purchase orders, HR documents, personnel files, contracts, the volume of essential paperwork is seemingly endless. An effective scanning solutions means that important information is no longer captive to paper. Instead, all of that information can be digitised and made available at the click of a button. The DocuMate 3220 is a next generation duplex scanner that uses OneTouch software to streamline the scanning and storage process. Take all those receipts, invoices, HR forms and bills, place them in the 50-sheet capacity feeder and create crystal clear electronic copies in seconds. Any business or individual that needs to have better control of its paper volume will benefit from the DocuMate 3220 scanner. Real estate, insurance, education, financial services, retail and healthcare offices will be impressed with this scanner’s capabilities to securely process a variety of documents including plastic cards, photos, receipts handwritten notes and more. The DocuMate 3220 can be used for; organisation, document archiving, backup, sharing documents by email or network, collaborating with a group, or reusing text from a printed document into your own electronic document without retyping. There is almost no limit to the ways you can be more productive and organised. Fuji Xerox has launched its Solution Assist service to the small business sector. Solution Assist specialises in support for the DocuMate Scanner Series and gives small business owners access to remote or onsite support that will help you with your Fuji Xerox DocuMate scanner including training installation and ongoing support.